"Bible Crosswords" contains hundreds of Bible-themed fill-in crosswords, each bible crossword is based on the people, places and stories in the Bible! "Bible Crosswords" is a fun and entertaining way to use your Bible related vocabulary! This great selection of bible crosswords contains over 3100 words! 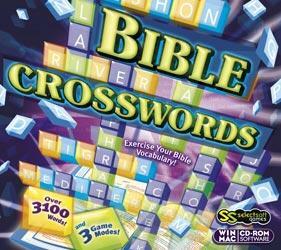 Each bible crossword contains high scores, related music and spectacular sound effects! How fast are your solving skills? Enjoy hundreds of Bible-themed fill-in crosswords, based on the people, places and stories of the Bible! It's a fun and entertaining way to use your Bible vocabulary! Over 3100 words! Plus High Scores, Music and Sound Effects!